Best Forward: It doesn’t always go to the team’s leading scorer, but it does this season with Tyler Barnes being the easy pick here. He was the team leader in goals and points, and one can only imagine what the Railers offense would have looked like had he not been around. Best Defenseman: In another easy choice Connor Doherty goes from last season’s 7th Player Award winner to this season’s best defenseman. He’s easily the most consistently solid blueliner on the team. Tough Guy Award: Yanick Turcotte. No explanation needed. Best Single Game Performance: Lots of great ones to chose from, I’m going with Mitch Gillam‘s 54 save win in Brampton on December 19th. The Railers were outshot 56-25 in the game, so that win is one you could say Gillam stole. Most Improved: David Quenneville gets the nod here as the rookie went from looking a bit lost out there early in the season to becoming one of Worcester’s top defensemen at the end. On an NHL contract you’d have to think Quenneville will be penciled into Bridgeport’s line-up for next season. Seventh Player Award: Forward turned part-time defenseman Bo Brauer is my pick here. Lots of good candidates, but only one great one and that’s Brauer. Best Mid-season Addition: Bo Brauer wins this one too, but if Matt Schmalz hadn’t gotten hurt he might have run away with this one. Hopefully both will be back in a Railers uniform next season. The “Mike Moore Award”: For the player that gives 100% every single shift no matter the score or the situation, Dylan Willick gets my vote. If you don’t watch the games, I can’t explain. If you do, I don’t need to. Rookie of the Year: In a tight race, it’s Ryan Hitchcock. He led the team in assists, was third in points, and is one of the few “plus” players on the squad. Had Evan Buitenhuis not gotten hurt this would have been a tougher call. Most Valuable Player: This is the only one of my “real” awards that I ask others about, but it was unanimous: Tyler Barnes. The 210Sports Player of the Year: Barry Almeida, for being named 210Sports Player of the Game seven times this season. It was in a tie-breaking vote as Mitch Gillam was also named seven times, and his poor second half of the season probably cost him this one outright. The “Two-By-Two Award”: Barry Almeida, for each having the most penalty minutes without a major with 70. We’re using the Danny Groulx exception here as Almeida did have a 10-minute misconduct penalty, but he would still win subtracting those minutes. The “Iron Man Award”: Barry Almeida, for playing in all 72 regular season games. He’s the first Railers player to win this. The “Dead-Eye Award”: Connor Doherty, for having the lowest shooting percentage of any player with 50 or more shots on goal at 1.1% (1 for 89). The “Buzzer Beater Award”: Tyler Barnes, for his goal at 19:55 of the third period against Brampton on December 5th. The “Samuel Morse Award”: Tyler Mueller, who telegraphs nearly every pass and/or shot he takes. The “Mr Zero Award”: Austin Block, for not finding the back of the net in 25 games played for the Railers, a new city pro record for forwards and sixth all-time. His 26 shots were too few to qualify for the “Dead-Eye Award”. The “Golden BB Award”: Bo Brauer, for scoring his first pro goal on his first shot on goal for the Railers on 1/6/19. 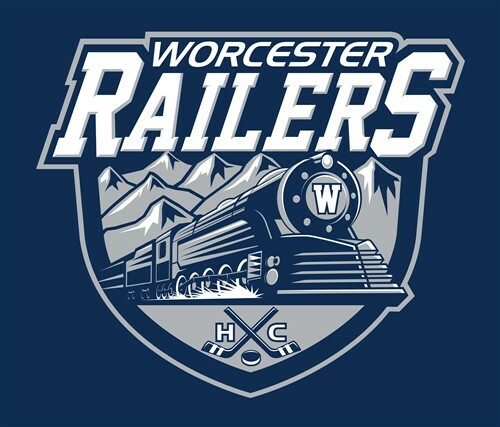 The “He Did It Again” Award: Bo Brauer, for scoring on his second pro goal on his second shot on goal for the Railers on 1/12/19. The “F-Bomb Award”: Nick Sorkin for his first period bench interview in Manchester on January 27th. Don’t Worry Nick, we all think that about ECHL referees too. The “Home Alone Award”: Derek Army, for his incredibly funny scene for scene retelling of the movie as his Christmas story at the Booster Club holiday party. The “Go Railers Award”: Assistant coach Derek Army, who ended every single pregame and intermission bench interview with “Go Railers”. The “Hide the Puck Award”: to ECHL linesman Brent Colby, who somehow had a puck shot down his pants on an attempted Wheeling dump and chase play on February 9th. Colby couldn’t get the puck out of his pants, and ended up officiating nearly a full period with the puck stuck in his pants. The “David Haas Award”: The award that goes to the player with the most talent that uses the least of it, and after a significant amount of deliberation, including the first meeting of the committee in a very long time, this award will collect dust another season. We do reserve the right to retroactively award this to the player that probably should have won, but we’re going to wait a season to see if his downward trend continues. So stay tuned.